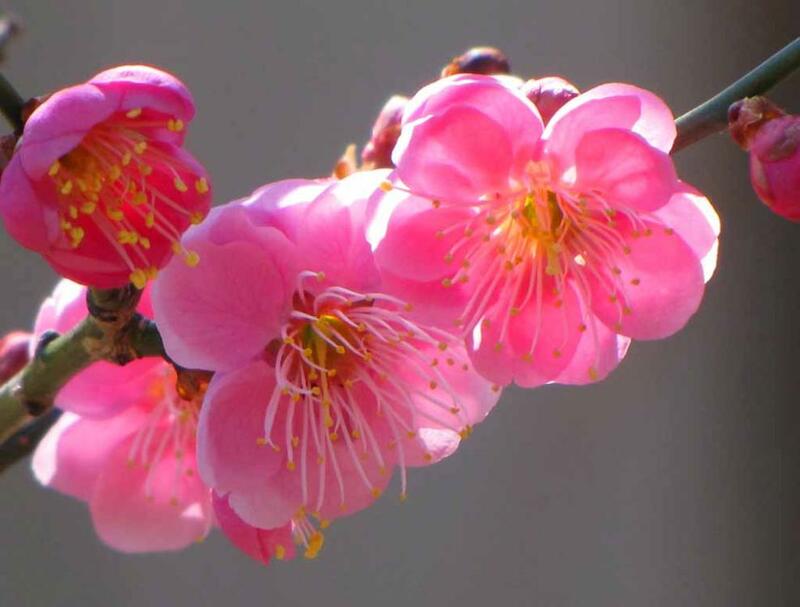 blooming Prunus mume blossom on my yard. 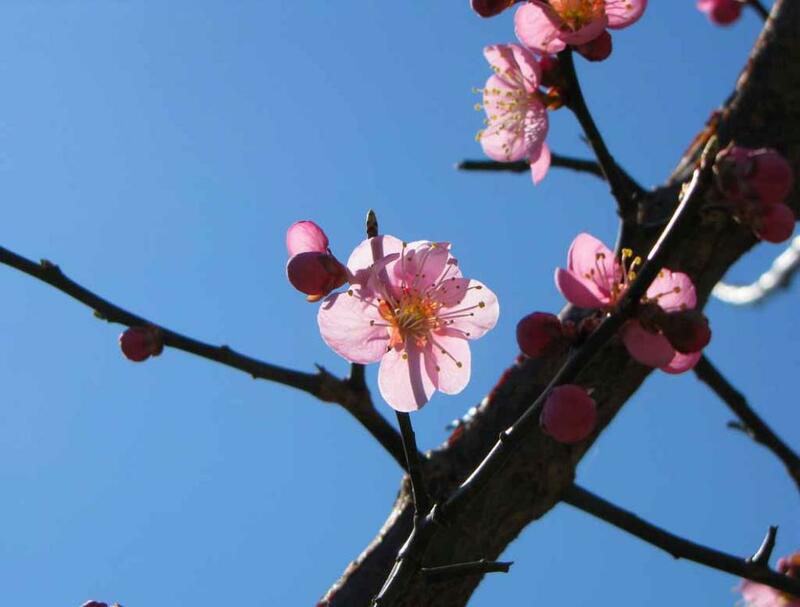 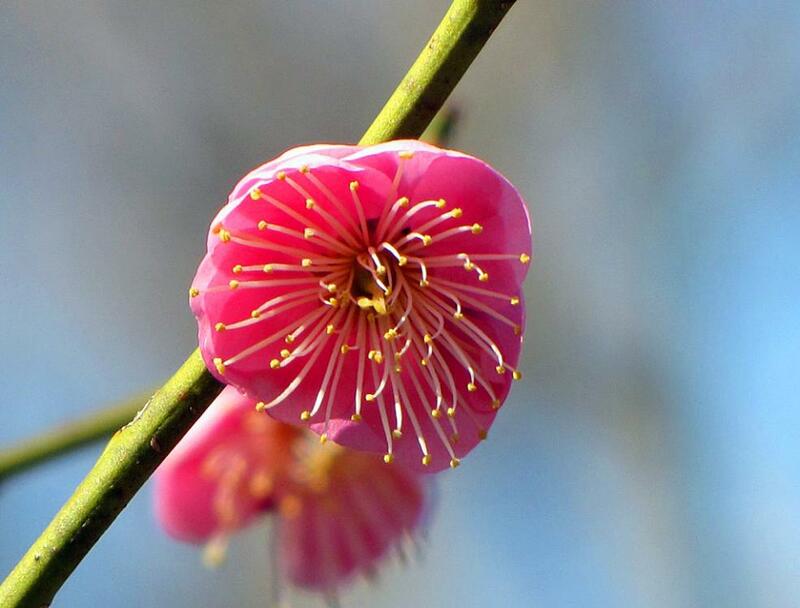 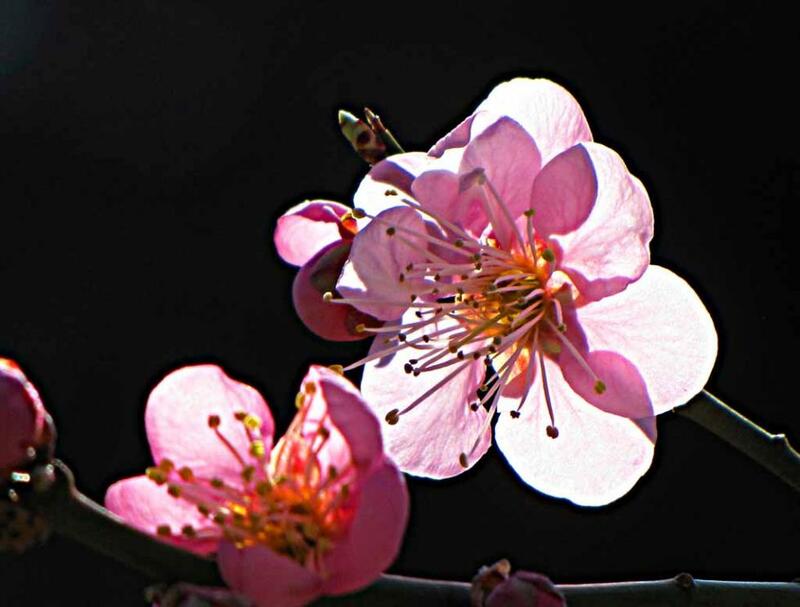 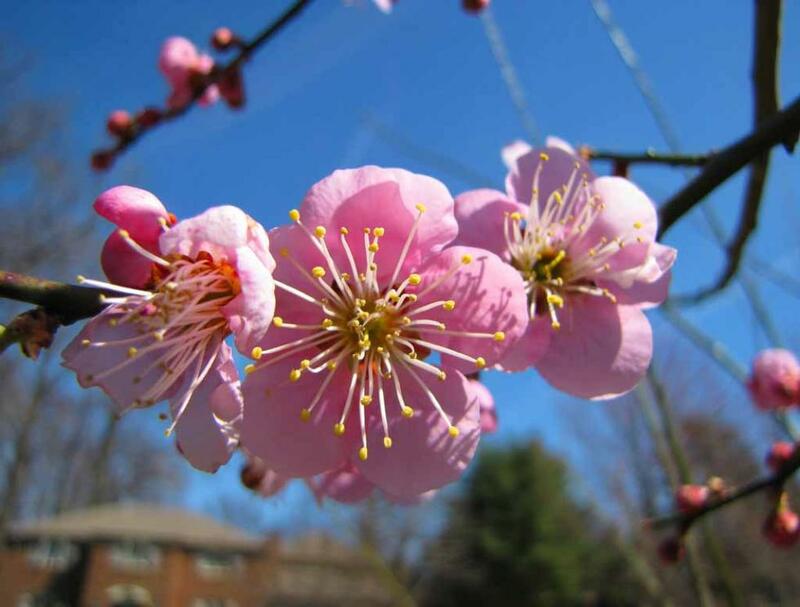 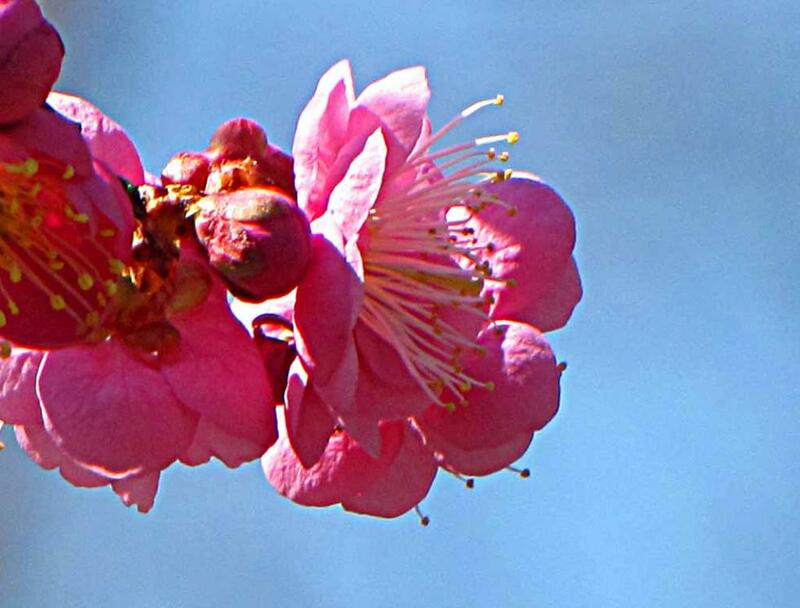 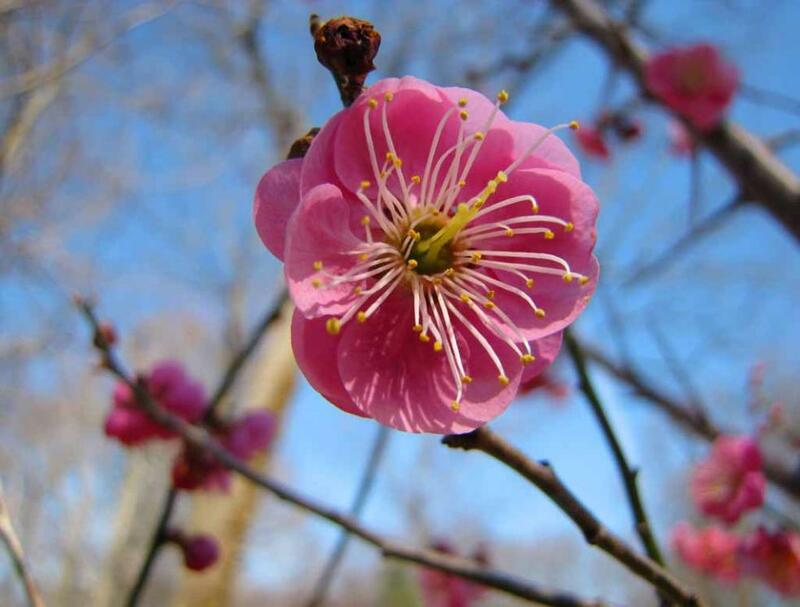 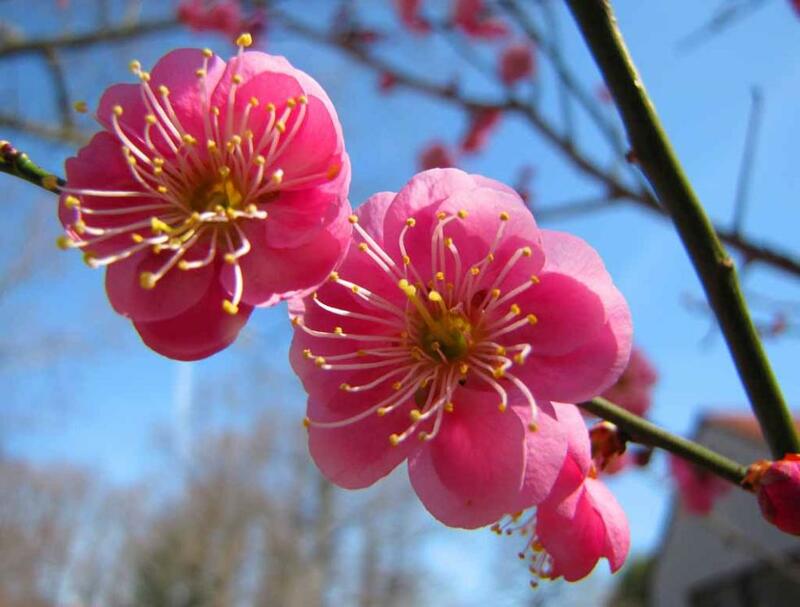 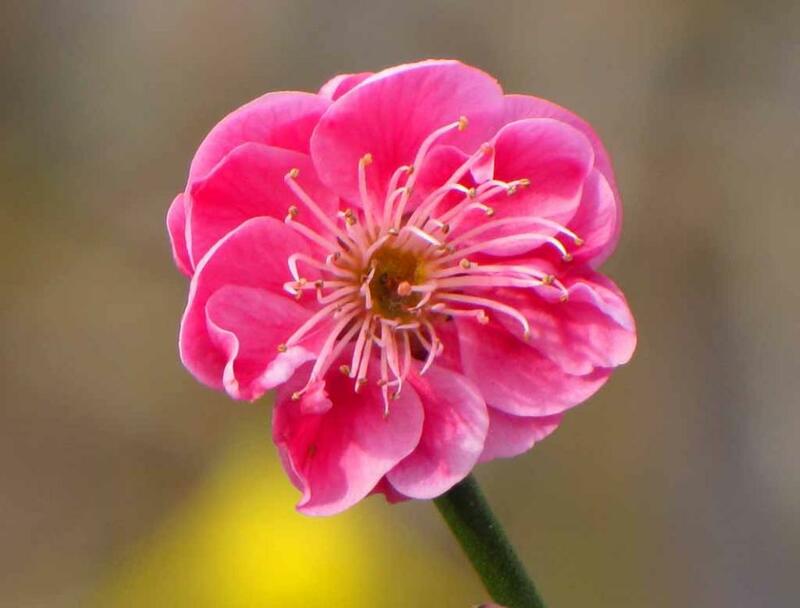 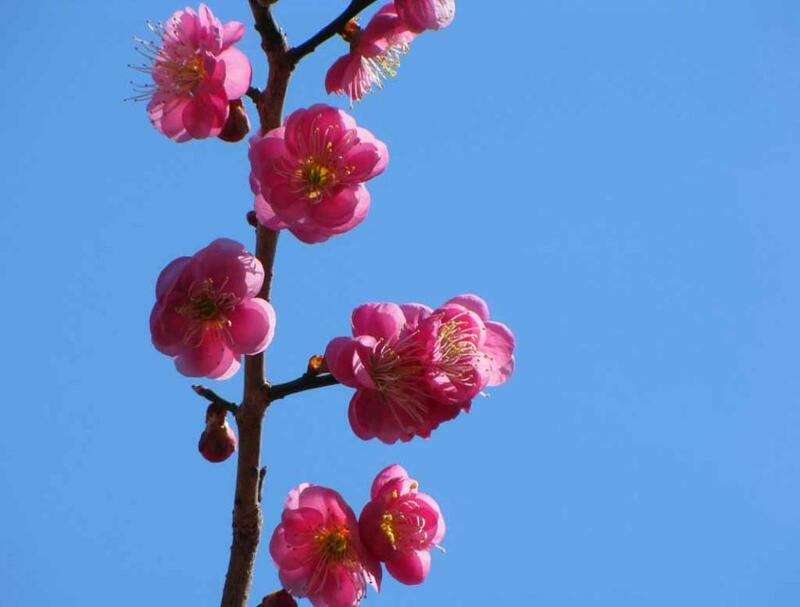 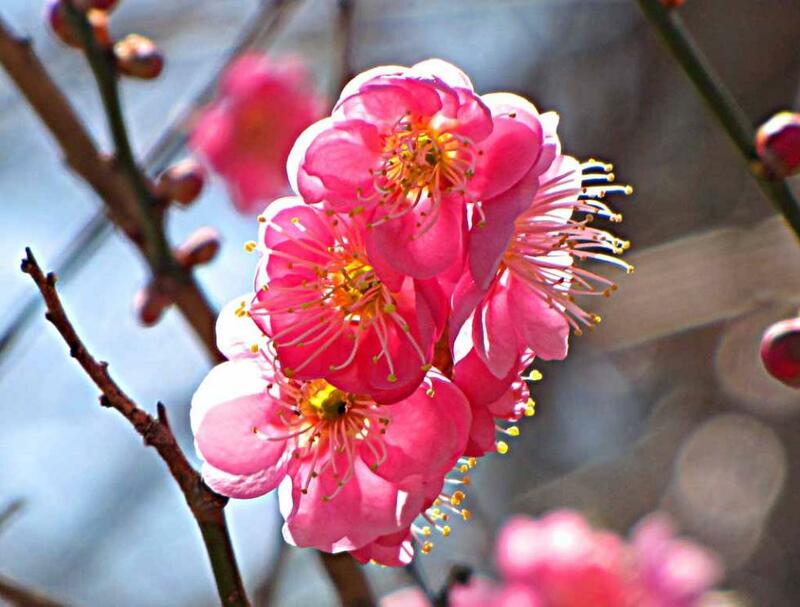 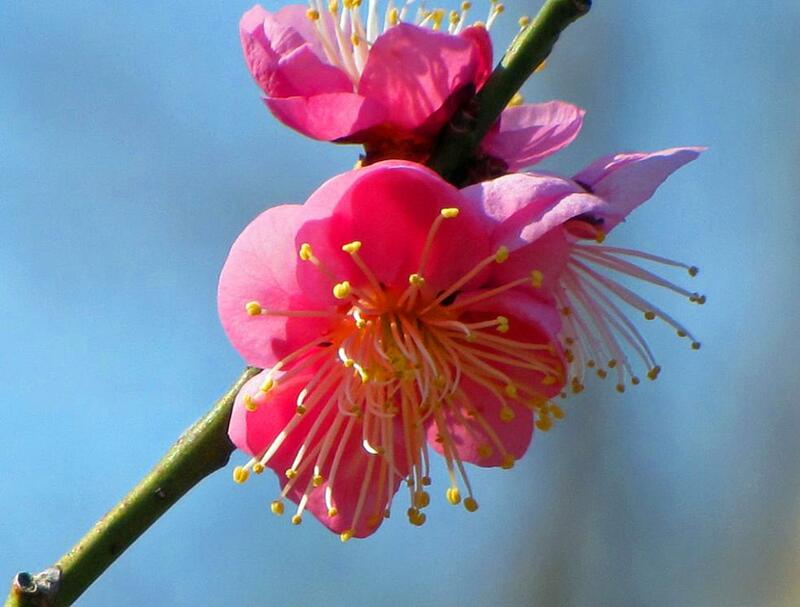 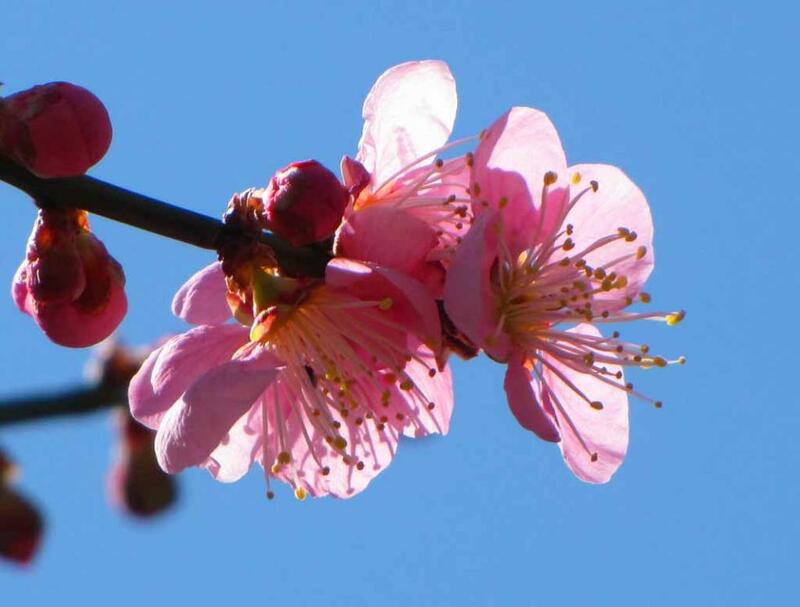 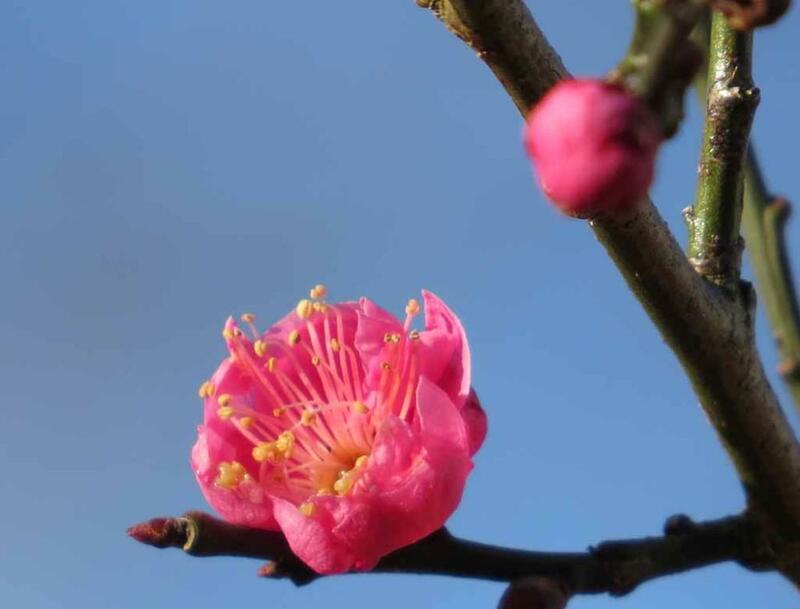 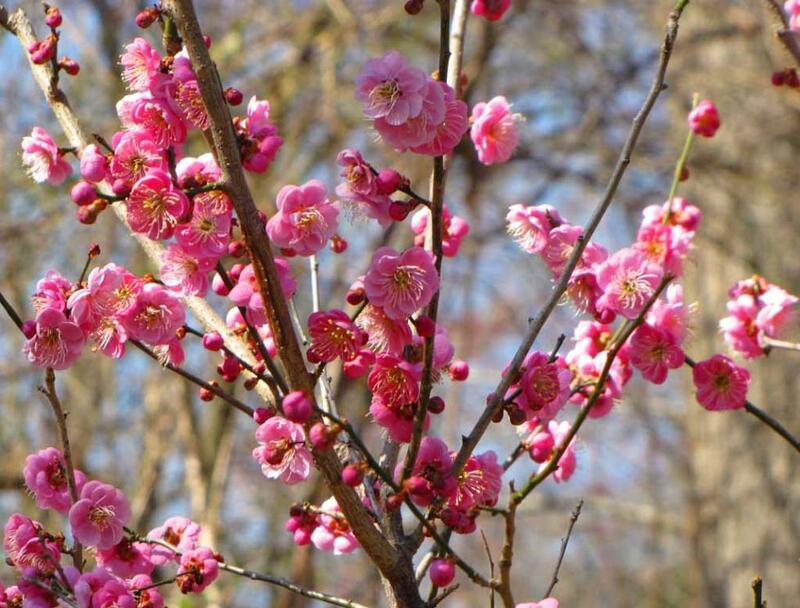 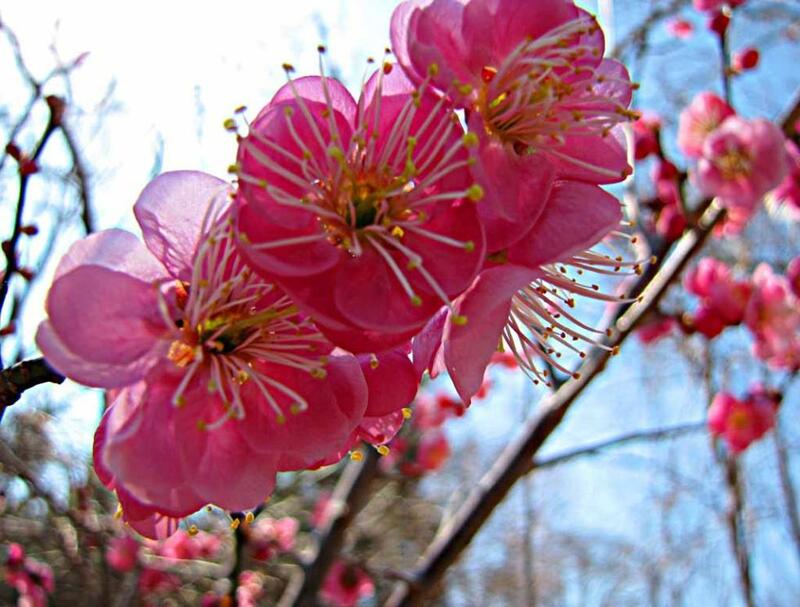 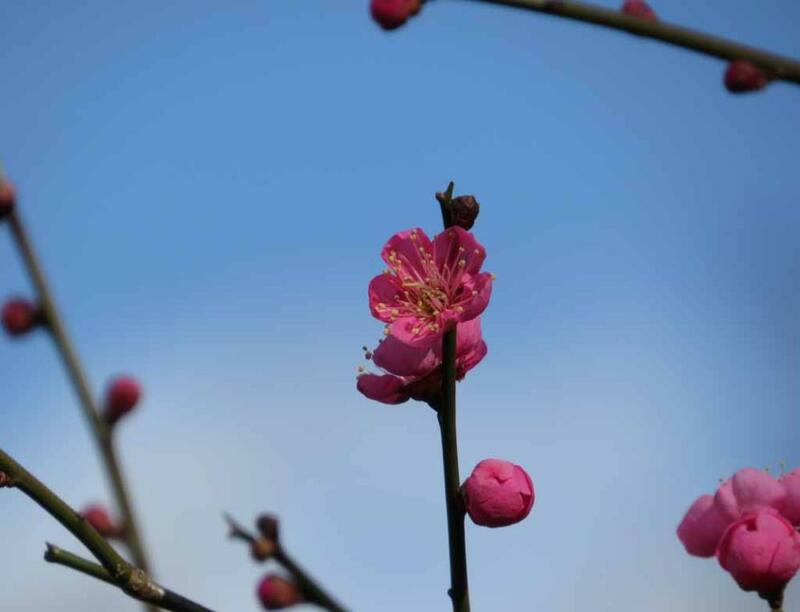 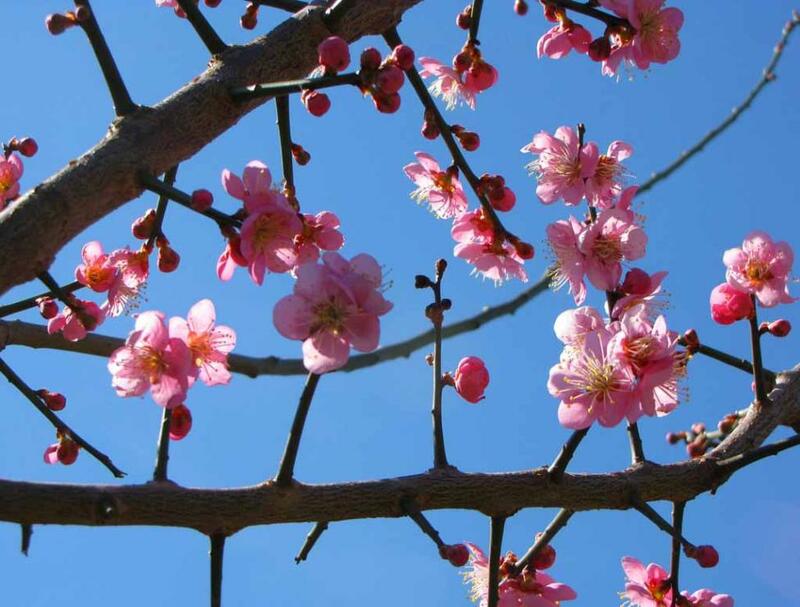 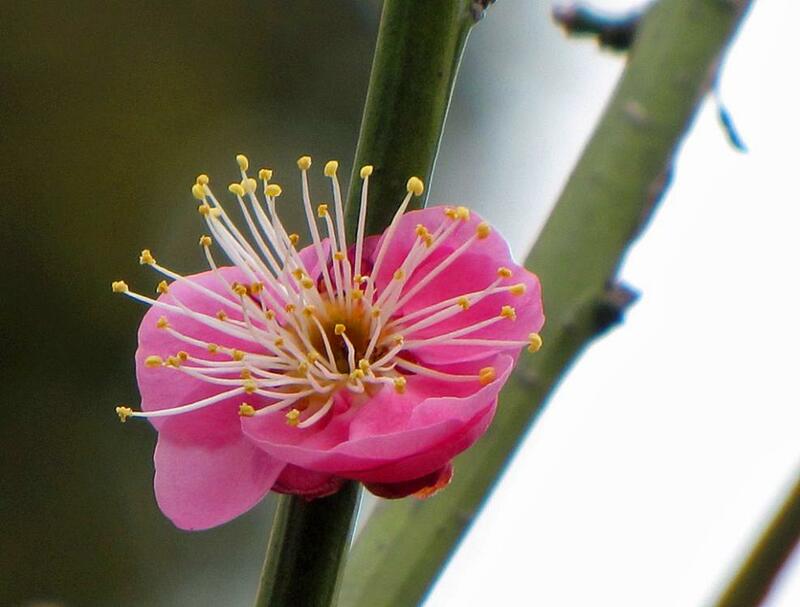 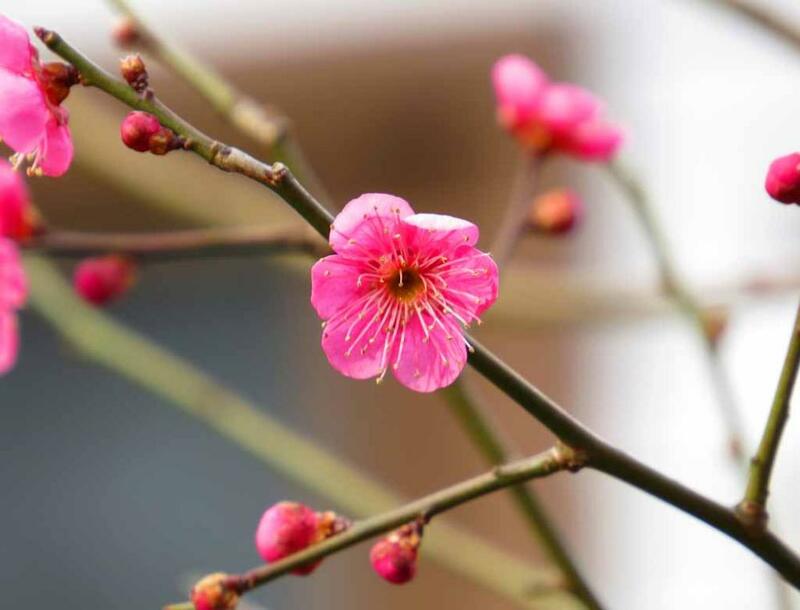 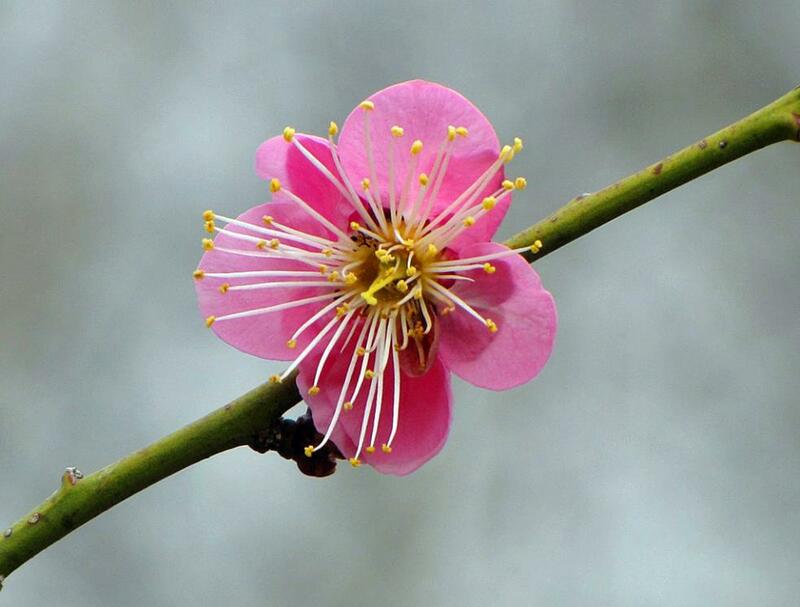 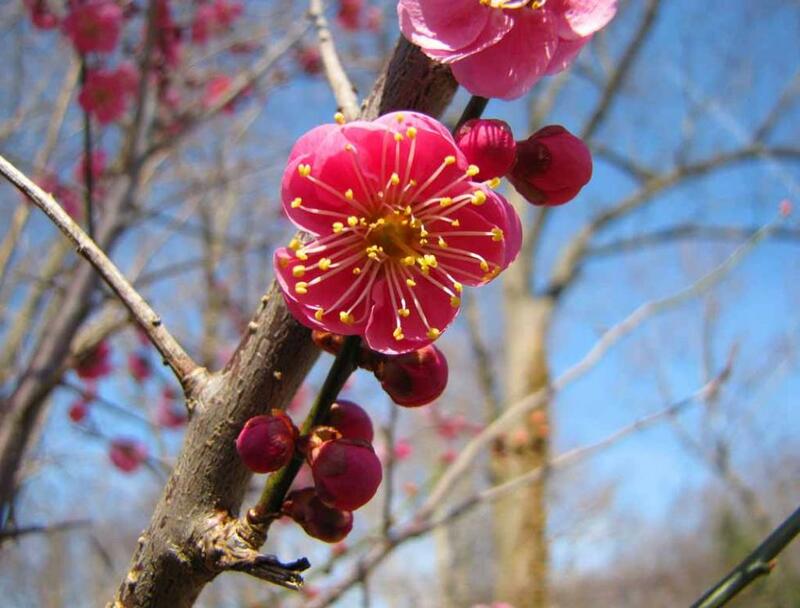 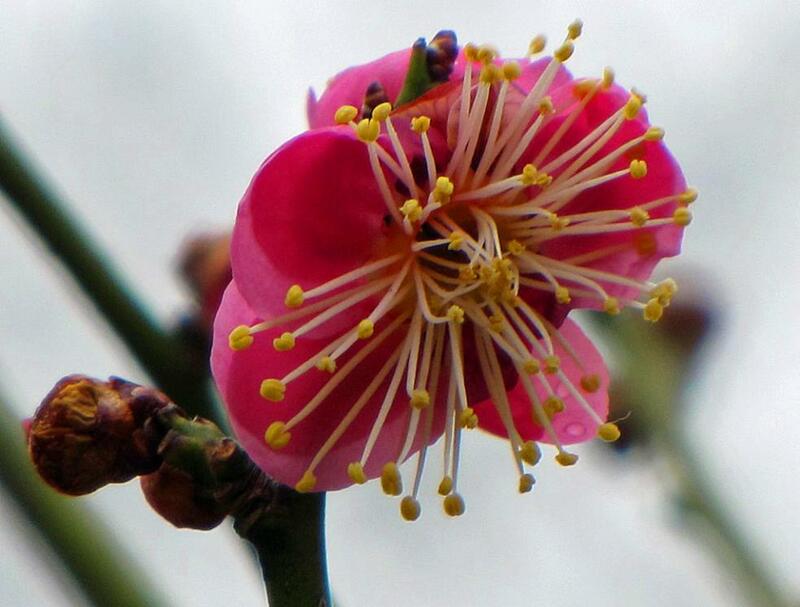 beautiful Prunus mume blossom as shown on this web page. 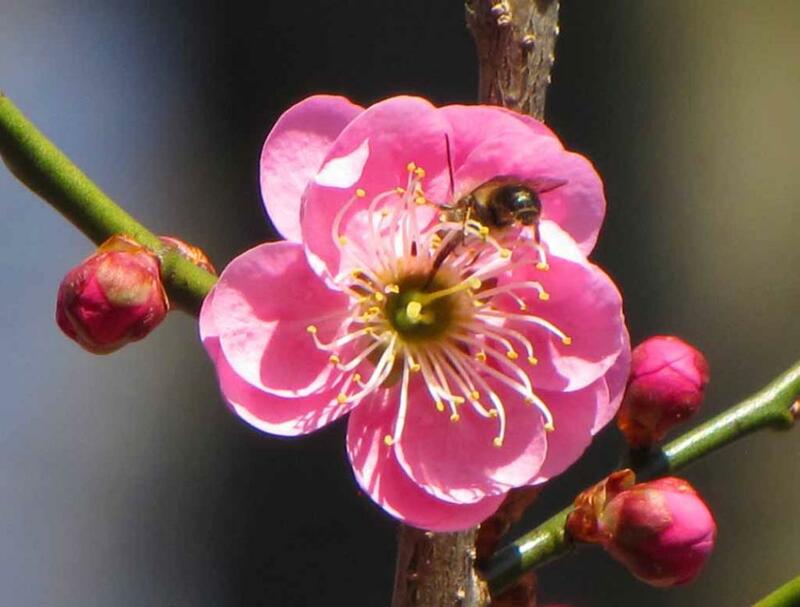 One of several bees working on the Prunus mume blossom on the early spring day of March 20, 2010.
deer, rabbits and ground hog love to eat their leaves. 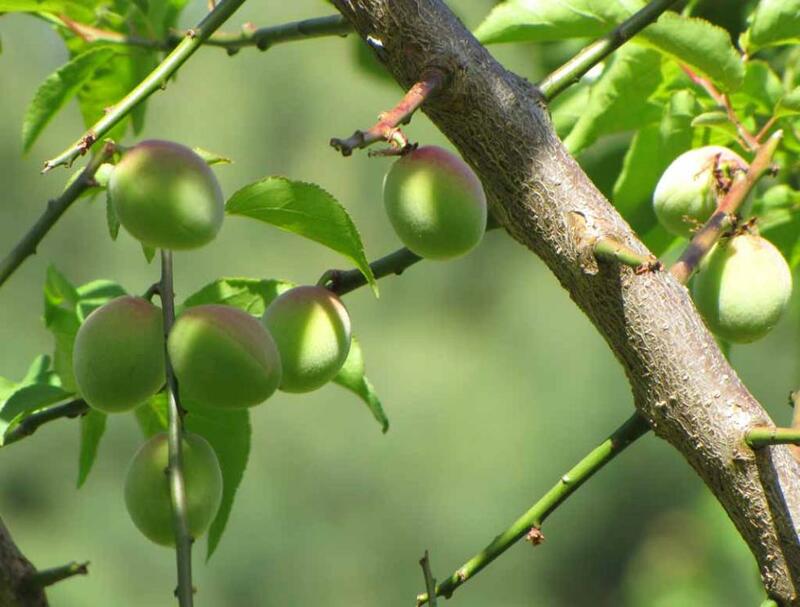 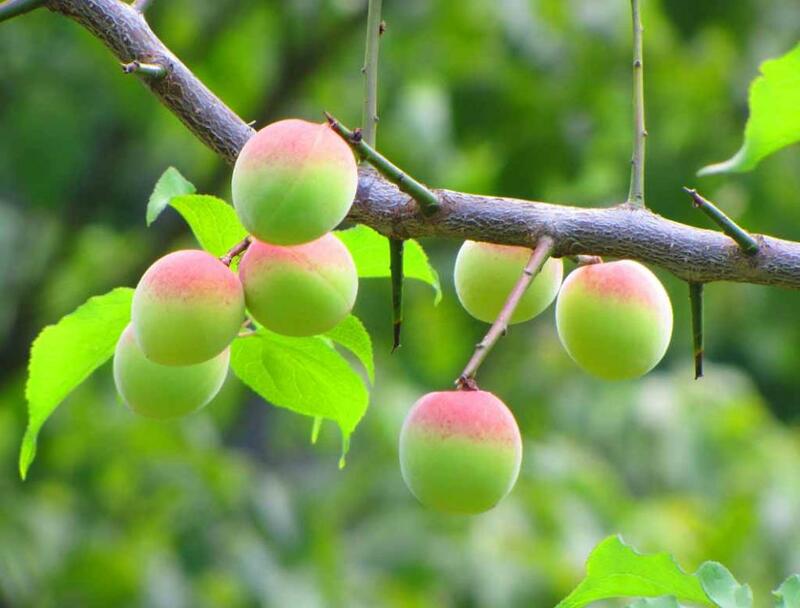 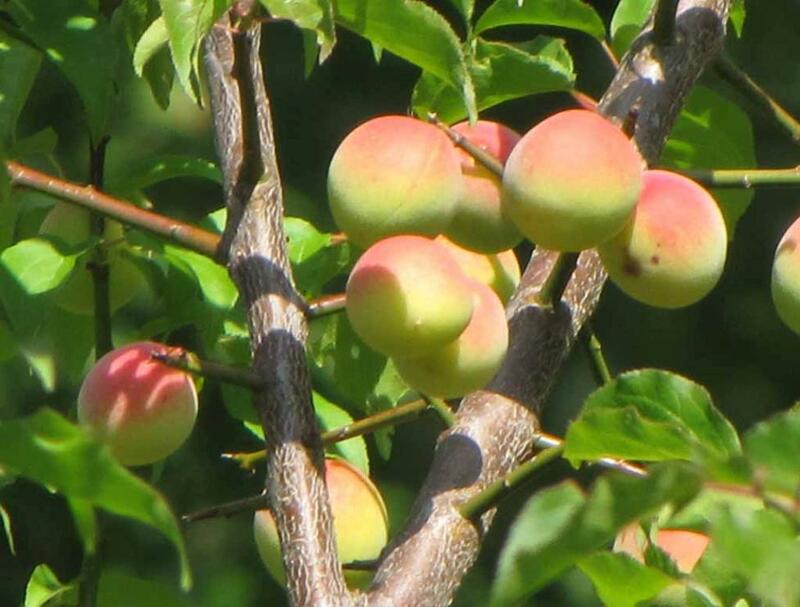 By May 16, these fruits/seedlings （梅果）have grown up to about the size of a thumb. 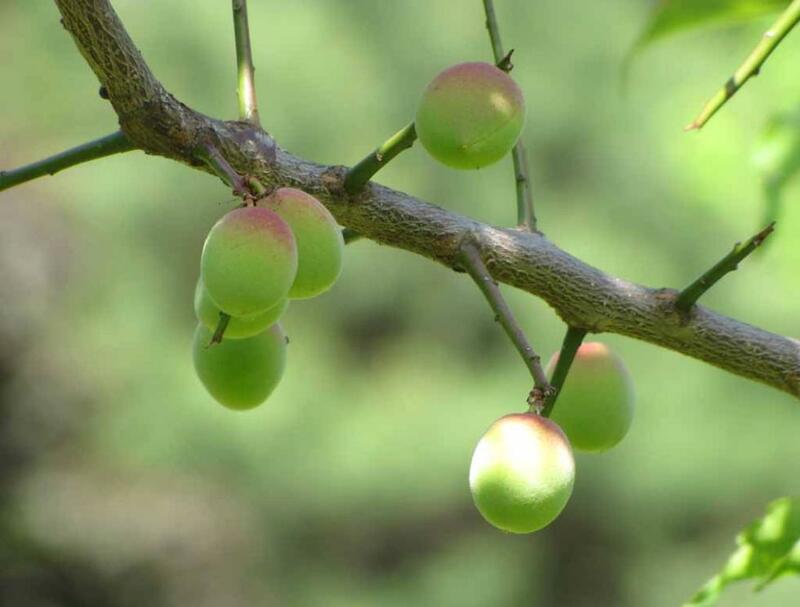 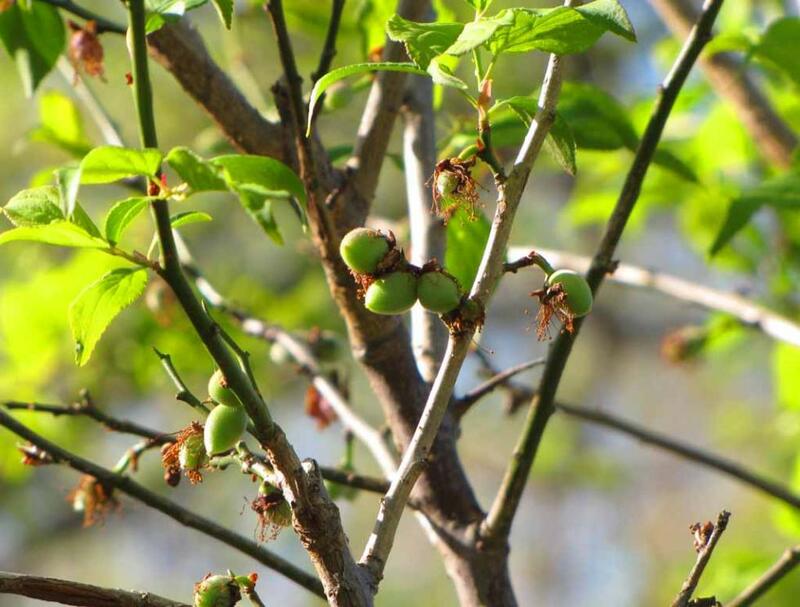 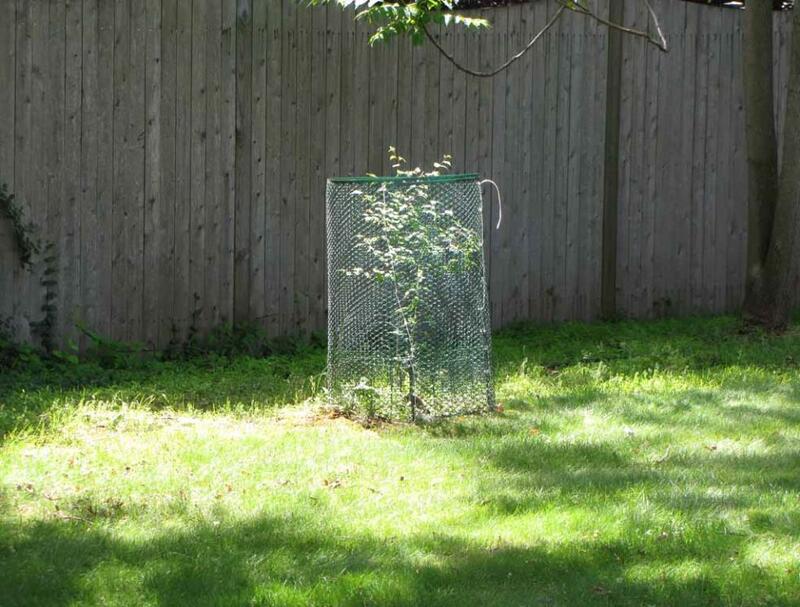 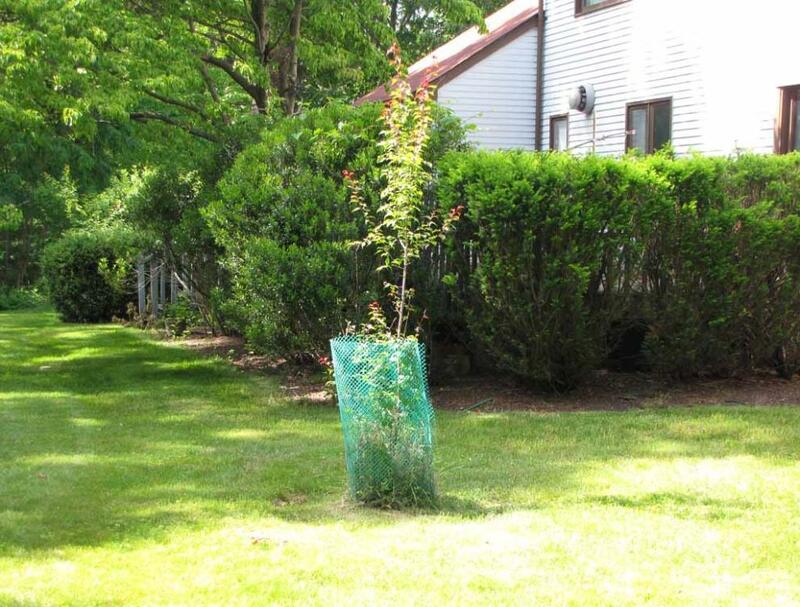 the fruits are not much bigger than those on May 16.
trunk bark even after this young Prunus mume tree has grown up to more than 7 feet tall.